Irish Kevin's is a Florida beach bar located in Key West. Discover this great Florida beach bar. Irish Kevin's is a favorite bar for many Key West visitors. And why wouldn't it be? Everyone at this Florida beach bar is always having a great time. The stage at Irish Kevin's is centered in the middle of the bar, and entertainers do all they can to get the crowd involved in the act. We suggest that you do play and sing along or you may just get "called out" and then the fun really begins. And that fun will be at your expense. It's all fun at this Florida beach bar. People seem to lose all inhibitions when at Irish Kevin's. Some of it can be attributed to alcohol intake, but some is also crowd pressure and an entertainer that knows how to get the crowd going and involved. This is a bit of an art. When the entertainer gets the crowd laughing and playing along then more people come in off Duval Street to see what is going on in there. During a recent visit the entertainer and the crowd were encouraging women to expose their breasts for shots of tequila. With the crowd encouraging, women were taking on challenge. And this was during the day, imagine the fun you will find in the evenings. Isn't there a song...."Tequila makes her clothes come off?" 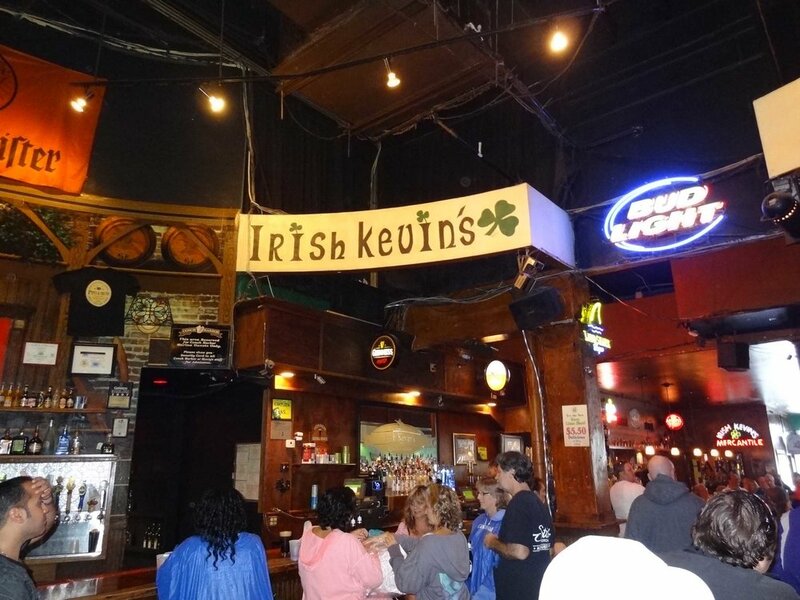 Irish Kevin's definitely has a party atmosphere. We can pretty much guarantee that when you are walking by the singing and the laughter will draw you in. Or you will at least stop, poke your head in the door to see what is going on in there. One can only imagine what this Florida beach bar is like on St. Patrick's Day. Key West is known for it's great bars. These bars are not located on the water, but they are some of the wildest and craziest bars around. So, can't they be called Florida beach bars? The motto of this Florida beach bar is "I came. I drank. I don't remember." That about sums it all up for you at Irish Kevin's.